In this tutorial, we will teach you how to count cells in Excel. Excel doesn’t count the blank cells when counting. It only counts those cells which contain data in them. 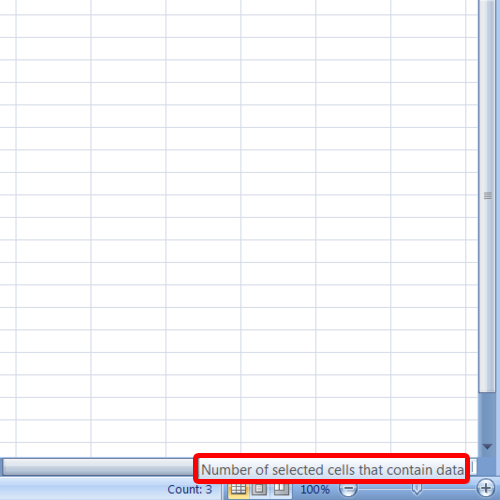 Number of selected cells that contain data. In this way, we can count cells in excel which contain data. Next we will select the entire table. You will notice that the counter only counts those cells which contain data and ignores the blank cells. “=lens( and then select the cell whose characters you want to count. For the purpose of this tutorial, we will count the letters in the student names. 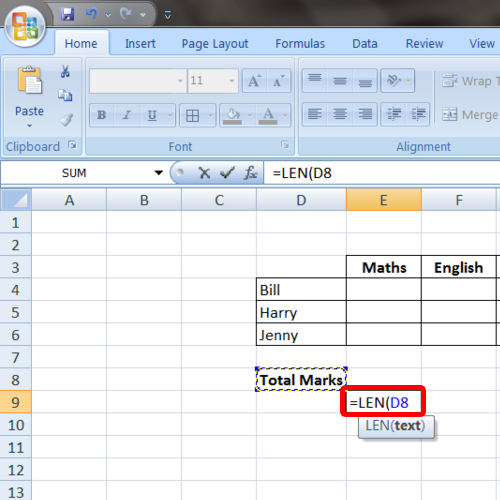 However, if a cell contains two words or more, the len function will count the space between the words as a character. For example, if we apply the len function on “total marks”, it will give us a count of 11 not 10. 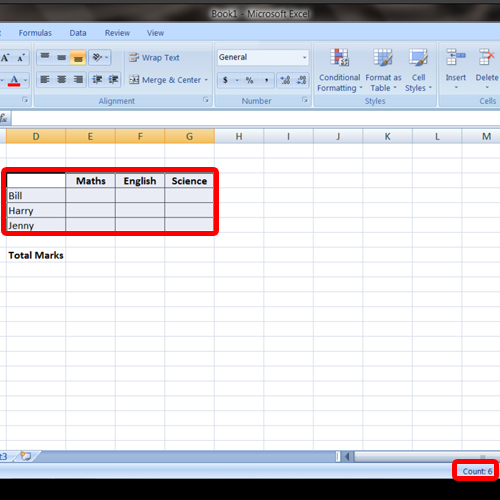 In this manner, you can count cells in excel or the characters in a cell.